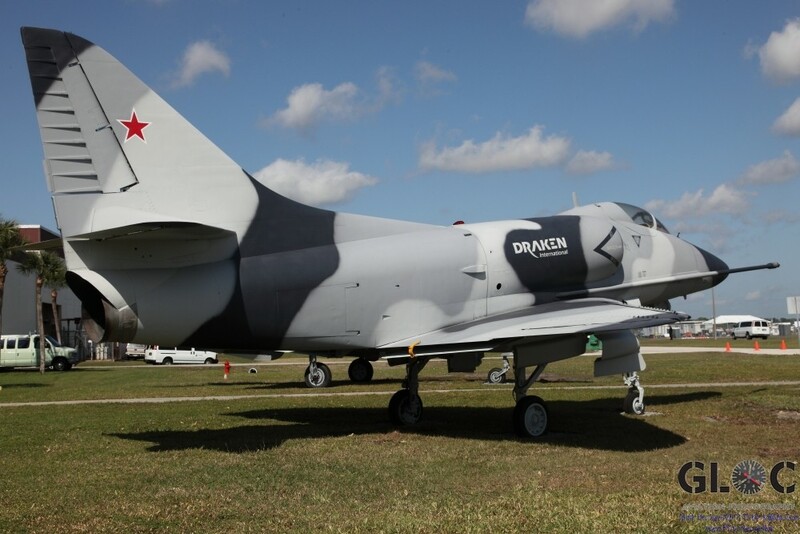 Draken International is a company on the rise. 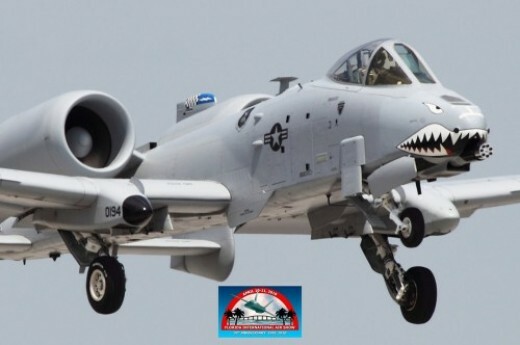 They provide contract air services for military use and are based at the Lakeland Linder Regional Airport in Lakeland Florida. In simple terms, they can perform any mission that military aircraft are designed to do. 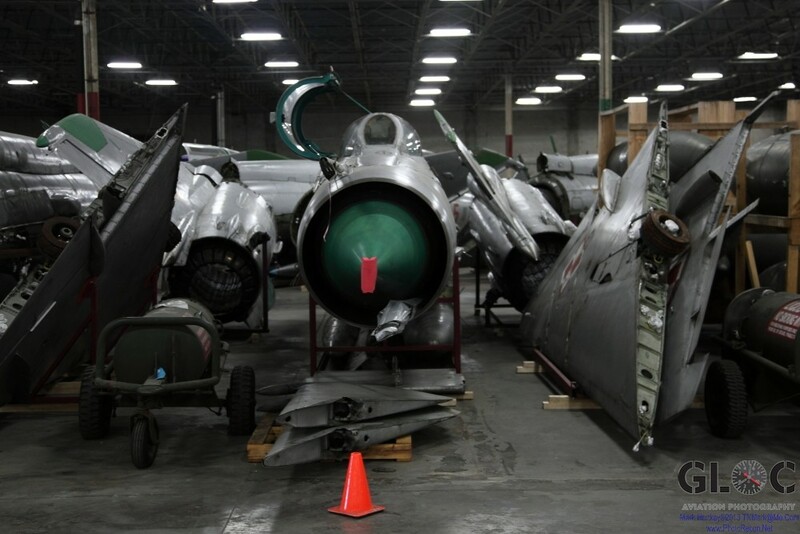 As you walk in the front door, between an A-4 Skyhawk and a MIG-21, you pass through several levels of security before being allowed to enter the facilty. As in every shoot I’ve done on a military base or a defense plant there are some very strict limits on what you can take photographs of and what you can talk about. So I’ll be talking in generalities here. 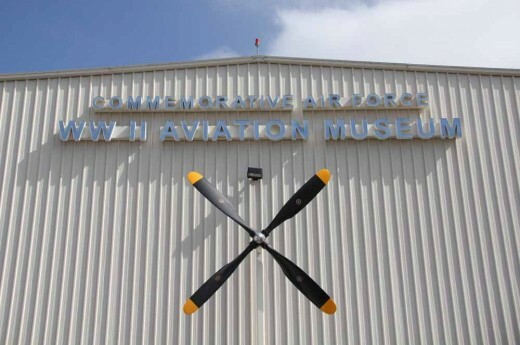 I had the opportunity to talk to Mike Smith their Deputy Chief Pilot about their aircraft. The Draken fleet number about 50 aircraft. 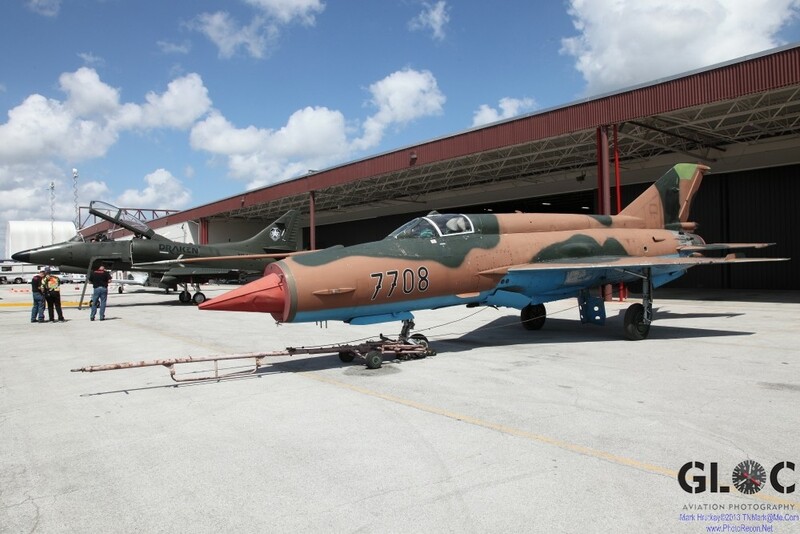 They have the latest MIG-21s that have been built. 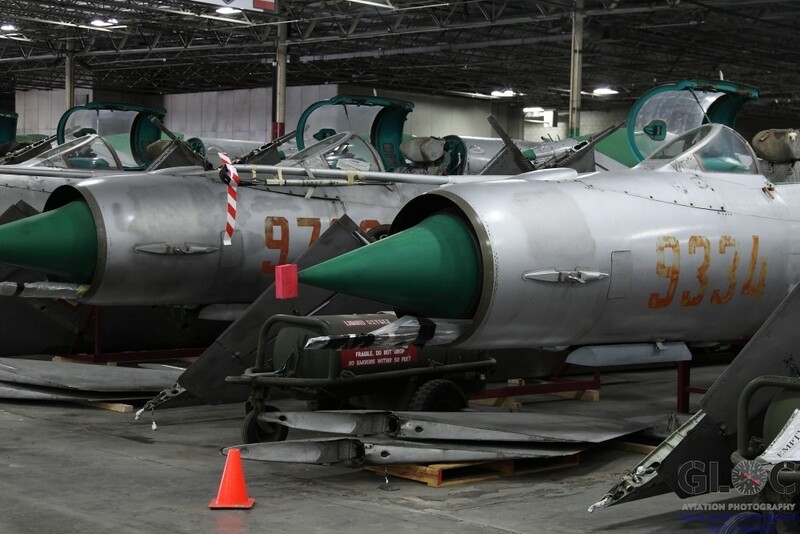 There are 3 A-4Ls currently out at Nellis AFB. 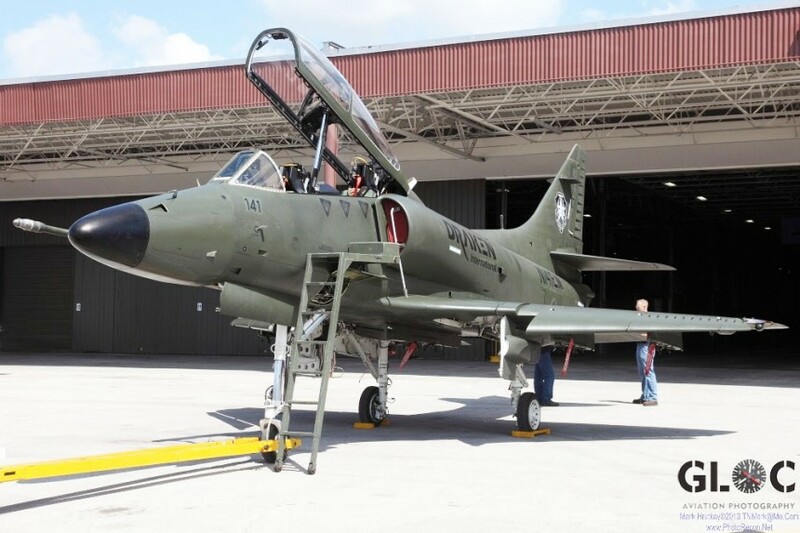 They have recently bought nine A-4K Skyhawks from New Zealand. 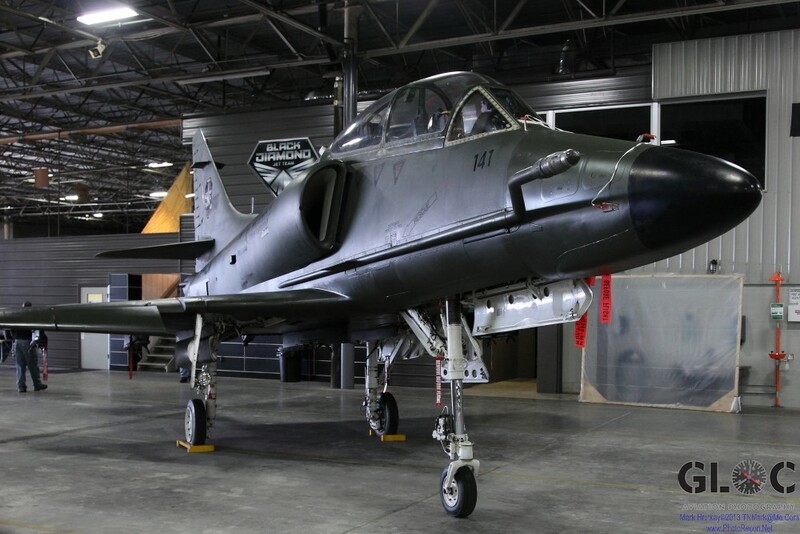 These A-4s have the latest radar that you would find in a F-16, they are also equipped with the latest bus technology that allows them to carry the latest electronics the military has in their weapons systems. 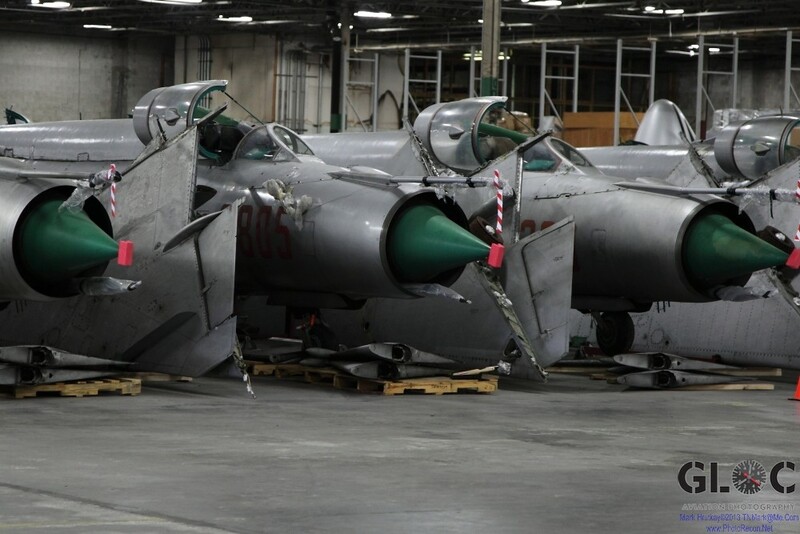 These Skyhawks also have the newest J-52 engines. Draken has the “buddy packs” to allow for air to air refueling of the Skyhawks and other probe equipped aircraft. 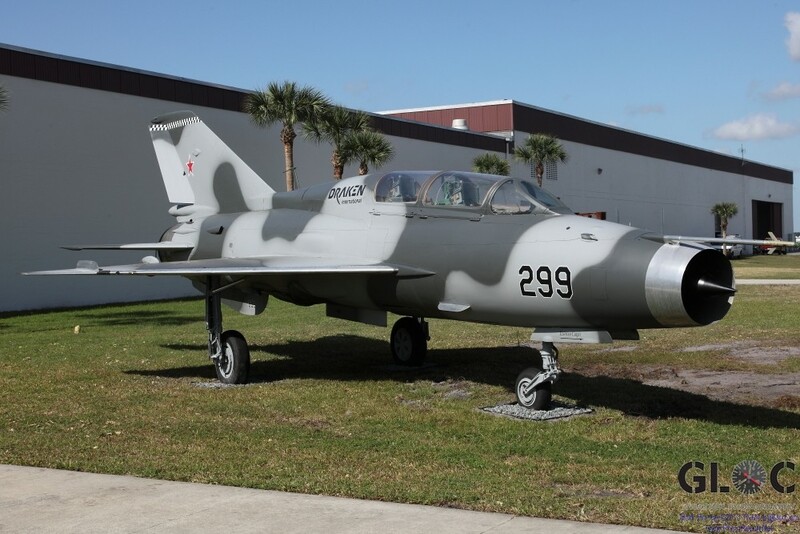 Their Aermacchi MB-339s are even plumbed for air to air refueling. 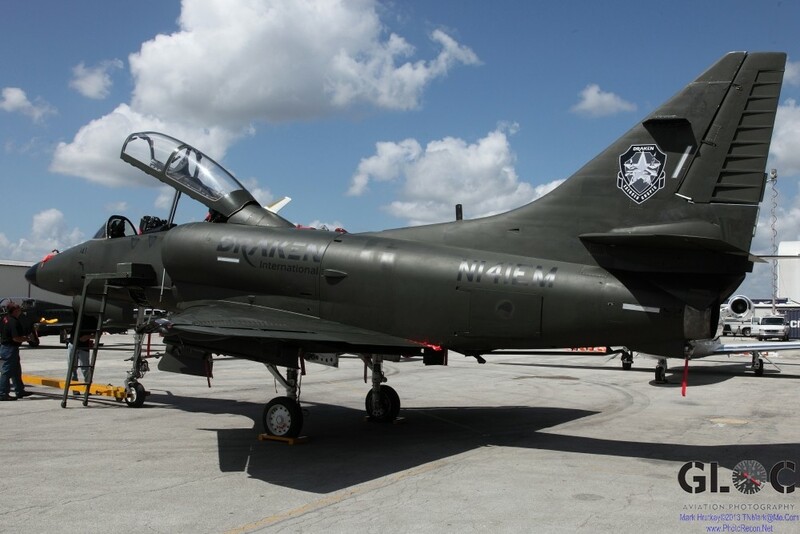 The fleet also includes L-39s. 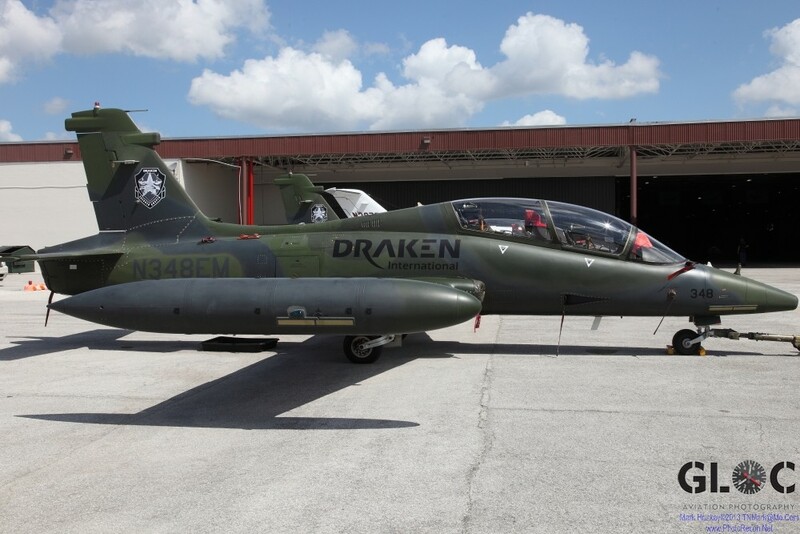 The Draken personnel roster reads like a list of the US Military’s Aviation Who’s Who, with Red Flag and Top Gun Instructors as well as graduates and even former Thunderbird Pilots. They do have talent there. For that matter, Mike Smith has flown the F-14, F-16, and F-104 among others. He was the Navy’s F-14 demo pilot’ has acquired over 10,000 hours of flying time and has had combat time too. His boss is Captain Dale Snodgrass. 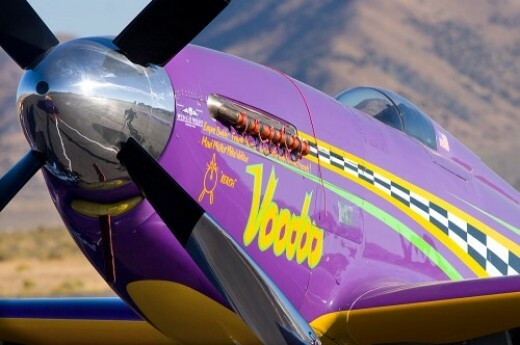 Snort as he is known is probably the world’s most famous, lowest flying, jet airshow pilot in history. He was also the highest time F-14 pilot in the Navy and has over 12,000 hours of fighter time. You will find that other Draken pilots are similarly talented. In short, everyone of these guys is good. Damn good. I caught the end of the press conference where Draken announced that they were making an additional capital investment of $6.7Million which will create 55 additional jobs. This places the number of employees at 55 more than they have now (which is a number I shouldn’t disclose). 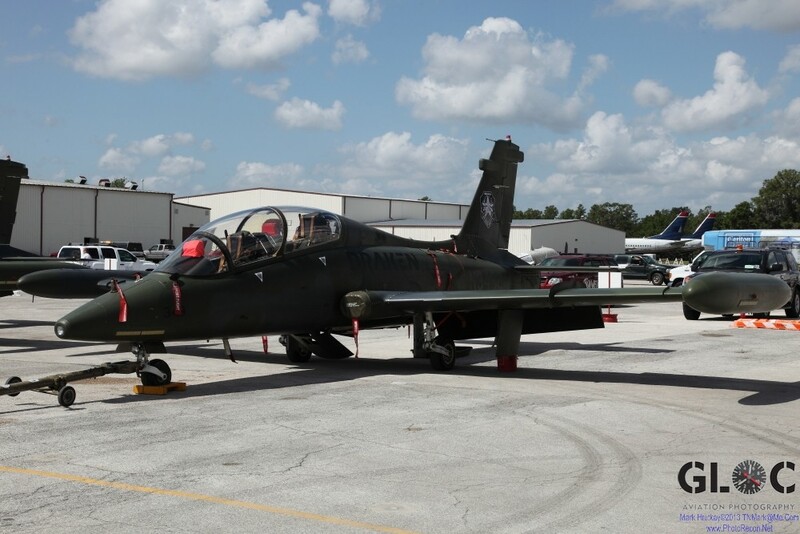 The aircraft are intended to fly government contracts to provide services at a fraction of the cost of flying regular military aircraft such as F-16s, etc. In times of tight budgets this represents a valuable savings for our country. This is simply the largest fleet of privately owned tactical aircraft in the world. For those who have asked, they are NOT going to be appearing at an airshow near you, since they are not an airshow act. No types of training will be available unless you are a Draken employee, which mean no rides at any price. From my experience, I can see them starting to generate revenues in the near future, making them a viable force in the US defense industry. They appear to have a very bright future. I would like to thank Elizabeth Kreft of Draken International for her assistance in making this article possible. You can contact me at TNMark@Me.Com.